#42 Anecdotes – Do years of experience mean anything in professionalism? Welcome to Anecdotes Podcast, where amazing things happen. SHOW NOTES 1:00 – One of the most common problems we’ve been struggling with: What should we do with our lives? 3:15 – Cited an article on depression by Johann Hari on Guardian (https://www.theguardian.com/society/2018/jan/07/is-everything-you-think-you-know-about-depression-wrong-johann-hari-lost-connections) 4:40 – Vance’s recount of a meeting with his mentor, and a review of recent career decisions 7:40 – Sometimes we need to go through regrets to know what we really want in life 10:40 – Many of us are paralysed by our fear of “wasting time”, wanting to achieve certain things by a certain age 12:35 – If you keep looking at past undesirable decisions as “mistakes”, you won’t get past yourself to achieve what you want 14:50 – Could it be how so many young and “successful” people shape how we think about ourselves? 16:30 – Taking time to sit down to review and evaluate recent events can help in living a better life 19:15 – Episode wrap-up: If you don’t know what to do in your life right now, why not start by improving yourself bit by bit every day? SHOW NOTES 1:00 – Why Vance doesn’t want to work freelance just for money and lose time he can’t gain back 3:00 – Mentioned Dr Meg Jay’s The Defining Decade (https://www.goodreads.com/book/show/13523061-the-defining-decade) 5:00 – As long as you’re not sleeping on the streets, trade your time for experience first, then money 5:55 – Tim thinks he’s trading his time for just money; Vance begs to differ because Tim is taking on a sales role, which gives him a lot of valuable experience 7:10 – Tim’s short reflection and update on his current situation at the workplace 10:45 – Sales isn’t just about the ability to sell, there are more to it 11:50 – The context: If you’re working a side gig that doesn’t teach you much other than giving you cash for your time, you might be wasting opportunities. Ask yourself if the job can be replaced by a machine or bot 13:35 – Remember Gary Vaynerchuk’s advice about patience – it’s underrated in today’s world so putting in the patience gives you an edge 14:35 – Vance had to admit he was tempted by the money and why freelance jobs are good money on top of full-time jobs but the sacrifice can be costly; free time is very valuable to working adults 19:05 – Episode wrap-up; What are Timothy and Vance trading the time to produce Anecdotes for? #36 Anecdotes – Why do we brag and fear showing vulnerability? #35 Anecdotes – Am I still me if I behave differently in specific situations? #33 Anecdotes – Reflections on career choices; relationships over sales numbers? #30 Anecdotes – Should we work more than expected as employees? SHOW NOTES Medium article: The Purpose of Life is to Be a Nobody (https://medium.com/personal-growth/the-purpose-of-life-is-to-be-a-nobody-72ceeb078373) 1. Being a nobody allows us to truly experience and appreciate the profoundness of the sublime. 2. Being a nobody frees us from the irrational pressures and expectations of an uncertain world. 3. Being a nobody gives us the humility to realise that it’s our struggles that define us, not our desires. SHOW NOTES 1:28 Vance’s article of the week – 3 Ways to handle Healthy Anger in Your Relationship (https://psiloveyou.xyz/3-ways-to-handle-healthy-anger-in-your-relationship-6e015d297314) Anger is a primary feeling to mask our embarrassment, loneliness, exhaustion or fear 3 tips for listening to anger 1) Don’t take it personally A person’s anger is not about you, it’s about the underlying primary feeling, which is embarassement or loneliness or fear 2) Don’t EVER tell the person to “calm down” It means you are telling them that the way that they are reacting is unacceptable. 3) Identify the obstacle Finding out what is wrong, to understand what the anger is about. 14:40 Viral video (https://www.facebook.com/gerald.teo.35/videos/10154495761318683/) 23:45 Can we get rid of anger entirely? 27:35 Timothy’s article of the week – Three questions to ask before quitting your job (https://psiloveyou.xyz/3-ways-to-handle-healthy-anger-in-your-relationship-6e015d297314) 41:45 Vance’s written article on Medium – What makes work bearable (https://thecoffeelicious.com/what-makes-work-bearable-4a2d1ba08728?source=false---------0) 52:00 Plans for future guests! 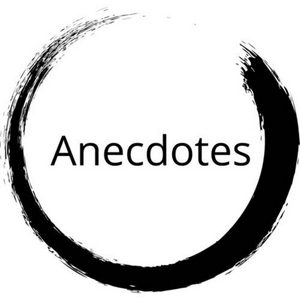 #001 Anecdotes – First official episode! Show Notes: For our first official episode (unofficially 11th), we talk about articles/ideas that made us smarter this week.